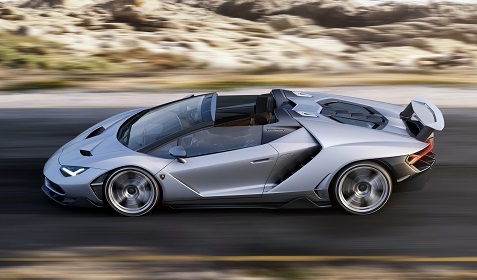 If you’ve been pining over a new Lamborghini, you’re going to have to look for something other than this new roadster. 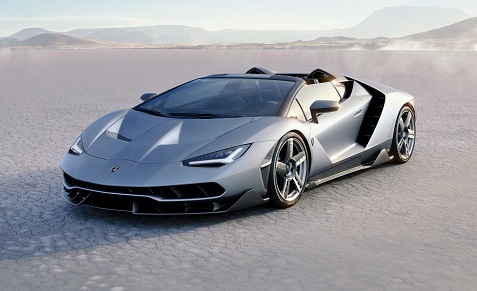 Lamborghini introduced the limited edition Centenario Roadster at Pebble Beach this weekend and announced they will only be making 20 of these beautiful beasts. All of them have already been sold at a starting price of 2 million euros! This follows the introduction of the Centenario Coupé, with Lamborghini unveiling its latest one-off creation for fervent collectors and enthusiasts at Monterey Car Week in California. “Lamborghini prides itself on the relentless pursuit of experimentation. We are proud to unleash Centenario’s further potential in the form of a classic roadster; the perfect harmony between innovation and timeless design. This unique engineering achievement is a befitting tribute to Lamborghini’s extraordinary past and a preview of its brilliant future. Centenario Roadster embraces the cutting edge characteristics of its coupé sibling and embraces the freedom of a true open-top super sports car for a pure drive experience,” said Stefano Domenicali, Automobili Lamborghini Chief Executive Officer. It’s not just a beautiful vehicle. The new Centenario Roadster also boasts a V12 naturally aspirated engine with 770 horsepower, the most powerful built by Lamborghini, with a weight to power ratio 2.04 kg/hp. The 20 buyers should have some fun with this one! 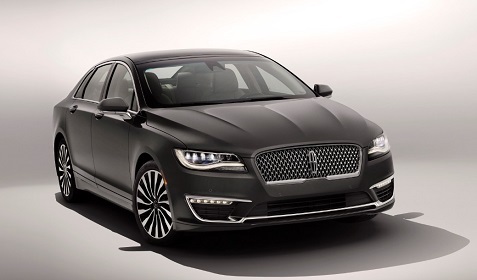 A unique auto and design-related story just crossed our desk, and we wanted to share it with our Bullz-Eye readers. In a collaboration with CoverCar, a unit of Italy-based Confezioni Andrea S.r.l., Chevrolet, Cadillac and GMC recently collaborated to create handmade, custom-fit fabric covers to replace the plastic wrap common to vehicle shipping. Already stylish cars and trucks like the Corvette Stingray, ELR electrified luxury coupe, the new Silverado and Sierra HD pickup trucks leave assembly plants in handmade covers that fit like the finest tailored suits. Fussy tailors spend years honing their skills, learning how fabric draped on a body could be pinned, cut and sewn to protect the wearer and make a high-quality fashion statement. The custom and handmade process behind the “suit” for your vehicle is interesting, and the Italian dude in the video is pumped about these tailor-made covers. The first GM application was for export of the 2013 Chevrolet Volt and Opel Ampera, followed by the 2014 Corvette Stingray, which ships each copy of the 2014 North American Car of the Year in one of the covers regardless of its final destination. Some Corvette owners keep the single-use covers as souvenirs. 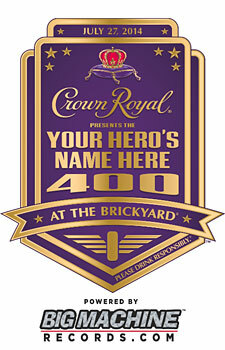 Estimates are that approximately 100,000 vehicles will use the custom-fit car covers. In addition to using the covers on Corvettes and ELRs for domestic delivery, the export-bound full-size pickups and utilities, the Chevrolet Malibu and Volt and Opel Ampera extended-range electric vehicles. The wardrobe of custom-fitted vehicle covers will also be an option for GM facilities to use around the world over time. 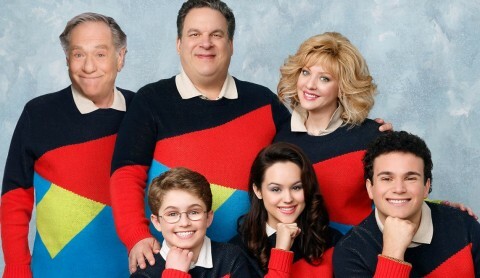 If you grew up the ’80s and haven’t watched ABC’s The Goldbergs, then you’re missing out on one of the funniest new comedies of the season…and if you didn’t grow up in the ’80s, you’re still missing out on one of the funniest new comedies of the season, because most of the stories are about growing up and dealing with your family, two things which are absolutely not decade-specific. Tonight’s episode is definitely going to be a treat for those folks in the former category, though, because it’s basically one big homage to The Goonies. I had a chance to chat with the show’s creator, Adam J. Goldberg, who’s basically taken his own life and turned it into a sitcom, and there’s little question that this episode is a career milestone for him. Having now seen it, I’d agree…although I hadn’t seen it when I originally hopped on the phone to talk to him. Bullz-Eye: While I got a link to watch the Goonies episode of The Goldbergs, I didn’t get it in time to watch it, due to another deadline I was rushing to meet. But I’m rationalizing that, since the piece is going to be written for people who won’t have seen it either, I’m still on solid ground. BE: When you’re doing a show about the ‘80s, you’ve got the opportunity to pay tribute to basically anything you experienced when you were growing up. Was The Goonies always in the back of your mind as something you wanted to do? My siblings just tortured me about it being the dumbest movie ever, ‘cause they were teenagers. They didn’t get it, so they always made fun of me for watching it and called the movie stupid to torture me. So that’s how the episode began. And, you know, I even did something on my last show, Breaking In, which was that Goonies 2 was coming out, and they had a mission to protect the movie. So it’s always something. I pitched the musical to Richard Donner. I went in initially to pitch him Goonies 2, which he quickly said he wasn’t that into. [Laughs.] So I flipped over to the musical. So it’s, like, my dream job. I keep revisiting it in different ways. It’s my thing. My jam.